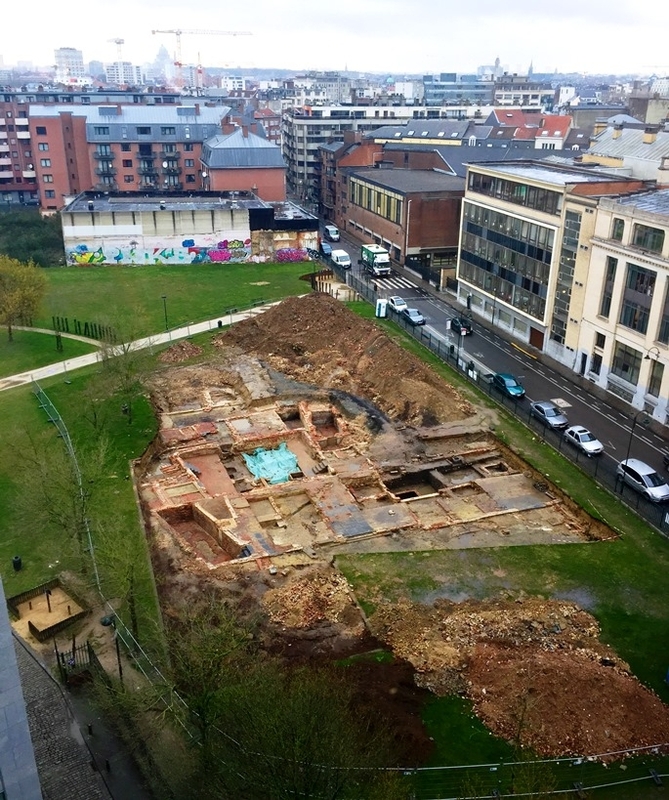 In Brussels, at the Fontainas Park the foundations of an ancient beer brewery have been discovered. For several months now archeologists have been conducting digging works. Their plan is to actually dig deeper and search artefacts of the Middle Ages and the Roman times. The park is located right in the centre of the city, opposite the famous Moeder Lambic bar. In the 19030s, during the construction of a large building in the area, foundations has to be poured during which some old Roman coins were discovered. These were dated as being from the 3rd century AD. A little later, in 2011 remnants were found of a 14th century house in the same area. The current excavations, over an area of 700 square meters have revealed the left overs of some industrial activity. Most probably these remnants come from the beer brewery “Den Baerts” which was located along this area, until 1949. At the beginning of the 18th century Brussels still had around 120 artisan beer breweries. Most of these were still active within the city walls. Around 1806 only 29 of these breweries were still active. When the Zenne river was covered around 1866 only 14 of these breweries remained. The Den Baert beer brewery, which has most likely been uncovered during these excavations, was one of the last remaning breweries in the city. Once the excavations have been completed, the city plans to continue carrying out the original plans of renovating the park and including green spaces and an area to play, for the benefit of the loca population. It looks like the remnants of this beer brewery will be burried again for the next generation to re-discover. 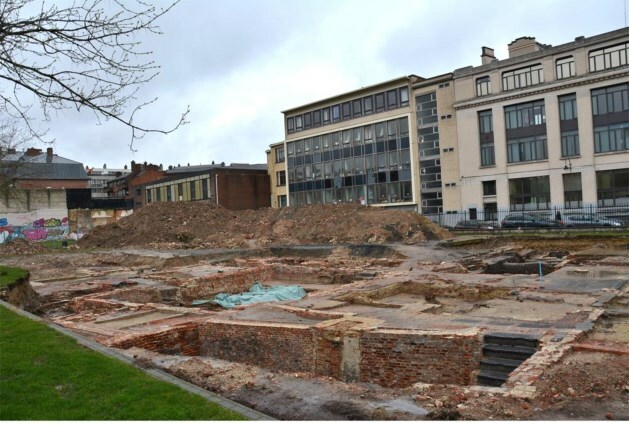 If you’re in Brussels you can visit the excavations, they can in fact be seen from the road. Right opposite is Moeder Lambic - one of the best bars in Brussels for beer lovers. They serve many great beers, including sometimes the famous Westvleteren 12.